Ahh, Jund. Certainly no other shard conveys the same resonance by the mere utterance of its name. Filled with incremental-advantage cards like Bloodbraid Elf, Sprouting Thrinax, and Broodmate Dragon, and Blightning, “Jund decks” had a solid run at Standard dominance until Shards block rotated out and Scars block rotated in, and now content for their rightful place at the Extended table. Of course, this isn’t constructed, but no doubt the Jund deck here secretly longs for the soul-withering success its older brother achieved. 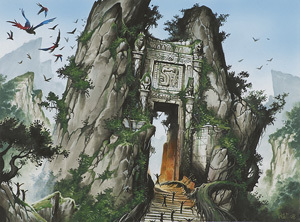 2005’s Ravnica, with its ten dual-coloured guilds, showed how just a little branding could turn groupings of the five colours of Magic into easily-graspable concepts for the playerbase. Although most of the guilds have faded into shrouded obscurity, we still here talk of Boros decks even now, indicating a deck that has both White and Red. Three years later, Wizards would repeat the trick, this time with tri-colour “shards.” A shard consists of a single colour and it’s two allied or “friendly” colours. (For those keeping score at home, a grouping of a colour and its two ‘enemy’ colours is called a wedge). For Jund, that primary colour was Red, supported by both Black and Green. 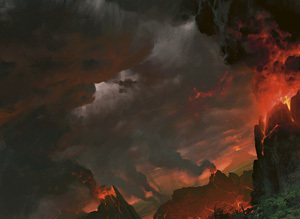 In the setting, this revealed Jund to be a place of elemental fury, with a landscape littered with volcanoes, skies filled with dragons, and inhabitants engaged in a neverending struggle for survival. In addition to flavour and colour-scheme, each shard was granted a unique mechanic as well. For Jund, the savagery of carving out an existence was represented in devour. Devour is a fittingly simple and straightforward keyword represented as devour X. When a devouring creature enters play, you have the option to sacrifice any number of creatures. If you do, the devouring creature comes into play with X +1/+1 counters on it- the strong consume the weak, and grow stronger. One thing to bear in mind as we review the curve- Shards of Alara (and really, the entire block) was a “colour-matters” set heavy on multi-colour ‘gold-border cards.’ Because of the increased difficulty in casting them, gold-border cards tend to have higher levels of power relative to their cost. This becomes less of an issue as the game goes on, for the deck comes equipped with some fetch-n-fixing in the form of two each of Jund Panorama and Savage Lands, but can be a critical factor early on. This explains the inclusion of not one, but two Goblin Pikers, for instance. The weakest link in a slot filled with solid beaters like Rip-Clan Crasher and Goblin Deathraiders, the Piker nevertheless is more reliably deployed as he only needs a single source of Red mana. But if you noticed the aggressive theme to even these early drops, hats off to you- Jund is not a tranquil place. A 2/2 with haste and a 3/1 with trample are perfect examples of what we can expect going forward. As we saw above, the three-drop slot is the most busy, and it’s here the deck expects to begin gaining an edge on the battlefield. You have a pair of Hissing Iguanar, which allow a slow, steady drain of life on your opponent as the relentless march to the graveyard goes on. Twin Jund Battlemages fill a very solid role here. Sure they can give you some reach a la Acolyte of Xathrid, but perhaps more vital to your war effort is their ability to spawn 1/1 saproling tokens. Weak on their own, they’re an appetizing meal to cards like Thunder-Thrash Elder, the shard’s hungriest resident. Whereas most cards with the keyword have devour 1 or devour 2, the Elder stands alone in gaining three +1/+1 counters for each creature devoured. Finally, there’s a pair of Sprouting Thrinaxes to round out the lot. Giving three power for three mana, then another three power once killed the first time, the Thrinax is remarkably resilient and was a constructed fixture. The four-drop slot is a lonely one, with naught but a pair of Thorn-Thrash Viashinos to speak of. Starting with a base of 2/2 and boasting devour 2, these Viashino have the added ability of gaining trample as an activated ability. From there we have the deck’s remaining beaters and closers, strong cards which are intended to move the game towards its inevitable conclusion. First we have a pair of Carrion Thrash, 4/4’s for five mana that have an activated Gravedigger-style ability upon death- simple and efficient, if tricky to cast. Next there’s a Mycoloth, the deck’s premier devour-enabler. Devour is at heart a rather risky ability with potential for severe card disadvantage. If I cast a devour creature and sacrifice three other creatures to build it up to mammoth size, and you Doom Blade it, I’ve just lost four cards for your one- a crippling setback. This is why the presence of cards which offer virtual card advantage are so critical to Primordial Jund, because they offer the ability to take advantage of devour while mitigating the risk of getting blown out. The aforementioned Jund Battlemage is a perfect example of this, giving you fodder for devouring away without risking multiple cards. The deck’s non-premium rare, the Mycoloth, takes this one step further. To be certain, you may have to cross the risk threshold to get him into play if you haven’t managed to stip up any fodder, because to cast him plainly is to miss a tremendous opportunity. If you can manage to get him out with counters, though, he’ll reward you with a steady stream of saprolings for the rest of the game. Useful as extra attackers on offense, chump blockers in defense, or devour fodder, it’s not an opportunity to be missed lightly. Finally, we come to the deck’s foil premium rare, Flameblast Dragon. With Jund’s skies ruled by the mighty dragons, you might hardly expect anything less in this slot. In bost casting cost as well as power/toughness, the Flameblast bears the hallmarks of that first paragon of the species, Shivan Dragon, but trades in the firebreathing for some targeted sniping. The fact that the Flameblast delivers his fiery payload upon attack rather than upon striking your opponent (or their creature) makes him vastly better, though he stops juuust short of being strictly better (the Shivan will do 6 damage with one Red mana source open, the Flameblast will still only do 5). In the absence of removal, the Flameblast Dragon will almost certainly end the game in your favour, because his blast will hit before your opponent is allowed to declare blockers. Thus, you can take out their best defender the moment you turn the Dragon sideways- few decks can withstand that for long. With so many slots devoted to showcasing the creatures of this volcanic world, there is very litte remaining for noncreature support. There’s a rather meager burn suite consisting of a pair of Shocks and a Resounding Thunder (Lightning Bolt had not yet made its glorious return). A pair of Dragon Fodders give you precisely that- a pair of 1/1 Goblin tokens best used for filling the bellies of your devourers. And finally, an Obelisk of Jund gives an extra and very useful dose of mana-fixing. Taken together, Primordial Jund paints a picture of aggression, with your own creatures getting more powerful at the expense of their fellows. The key to succeeding with this deck is to carefully watch how you devour. Too many eggs in one basket and you can leave yourself vulnerable to being two-for-oned (or worse), a serious setback in a deck with only one way to draw an extra card (cycling the Resounding Thunder). Play too timidly, however, and you risk overpaying for some rather bland creatures, putting you behind on board development. 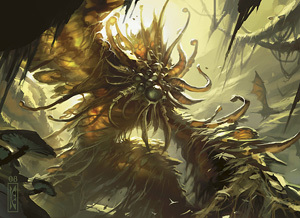 In our next installment we take Primordial Jund into the field, and see how devour plays out. See you then! I roll with Bant. Made it a couple of months ago. First deck I’ve built not based on any precon. I like it. This deck looks interesting. Curious to see who it goes up against. Hey Ertai, how did game day go for you? Were you able to pack much of a punch with Into the Breach? I ‘m guessing you did pretty well, but I guess it might all depend what others played in return. Looking forward to the article. Of all the possible builds, most fun was the one based on a playset of Iguanars. Complemented by enough Dragon Fodder and a bunch of Thunder Thrash Elders, the lizard became a machine gun. And in case it did not do enough damage, there still was a Soul’s Fire around to be used with one of those well-fed Elders … yes! Not my first or necessarily favorite intro deck, but I remember playing this sometime after I first started. It sure packed a punch, and both rares are spectacular of course. Glad to see you’re starting to review some of the older sets. Glad you like the classics! We’ve also done Dissension, Planeshift, some Tempest block and more- the best place to find these is in our archives. I’ve just went out and bought every Theme deck from Old Mirrodin to Eventide. I’ve got 4X playsets all UC/C cards of everything from Mirrodin Beseiged to Shards of Alara Block. So instead of buying the packs I went out and bought all the two rares from each of those. Spent probably about $70 in rares to be able to build the Theme/Intro decks with all those cards. 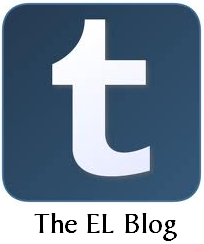 This site is bookmarked and I find all the reading within very entertaining. I will continue to read both new and old updates. I pretty much only play casually with friends and family. Do you think it would also be worthwhile for me to go out and get the Planechase / Archenemy sets? If not for the game type, but just the pre-cons? I’ve already bought three of the cheaper Duel decks. This deck looks insanely slow while it tries to balance trying to drop food for fatties while dropping fatties. Any other goal seems like a bad one, as Thrasher isn’t what’s going to win this deck the game. There seems to be some counter-intuitive-ness. Overall, all these devour dudes are really weak to removal. Even if it saw no loss of advantage, you still lost mana aka resources putting together a single creature. Mycoloth is pretty meh as it doesn’t fix this, you make it, you kill it, you seal it. Same With FDragon, shoot it down and you won’t have to worry about it. Maybe okay for an Intro, but I have my doubts.